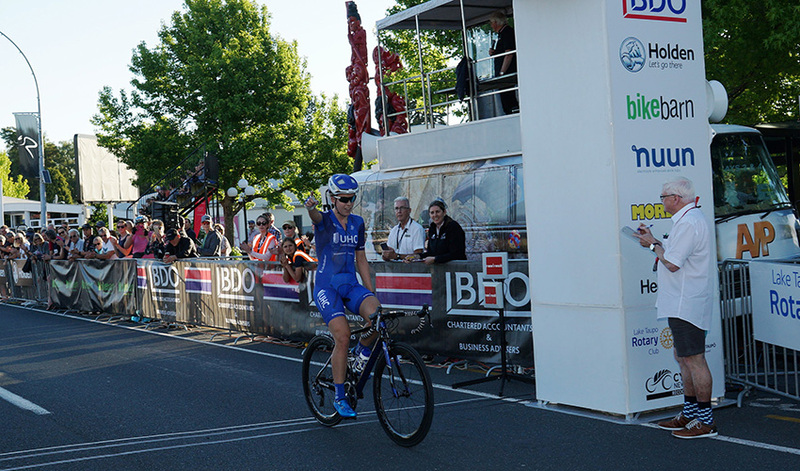 Two time New Zealand criterium national champion Rushlee Buchanan resumed her criterium success taking an impressive solo victory to add the 2018 Lake Taupo Cycle Challenge criterium title to her palmares. Buchanan a four-time New Zealand Champion in the road race launched a solo move mid way in to the 30 minute race and was not to be seen again by the field. 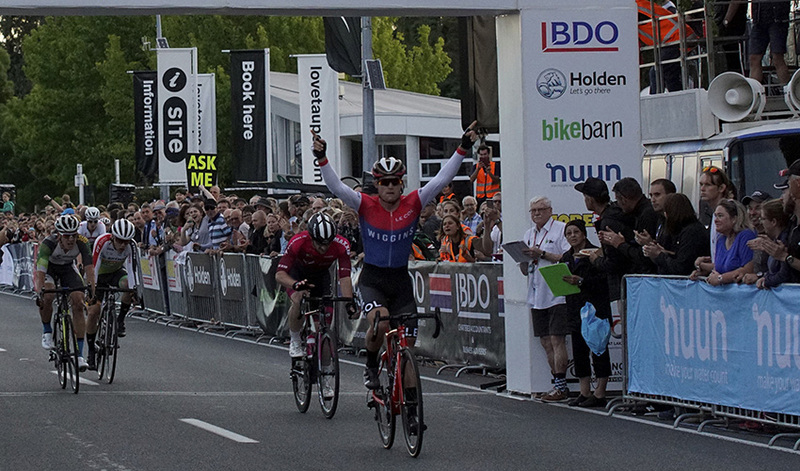 Behind in the sprint for second Michaela Drummond who animated the New Zealand criterium national title earlier in November was the first to open her sprint only to be edged on the line by Ally Wollaston. Multiple junior world champion on the track Campbell Stewart won the bunch sprint to take out the men's race, having finished second at the New Zealand Criterium Championships two weeks ago in Auckland. Stewart beat out Commonwealth Games individual pursuit bronze medallist Dylan Kennett and Ben Oliver. The Lake Taupo Cycle Challenge continues on Saturday with more than 6000 participants taking part in on and off road races.